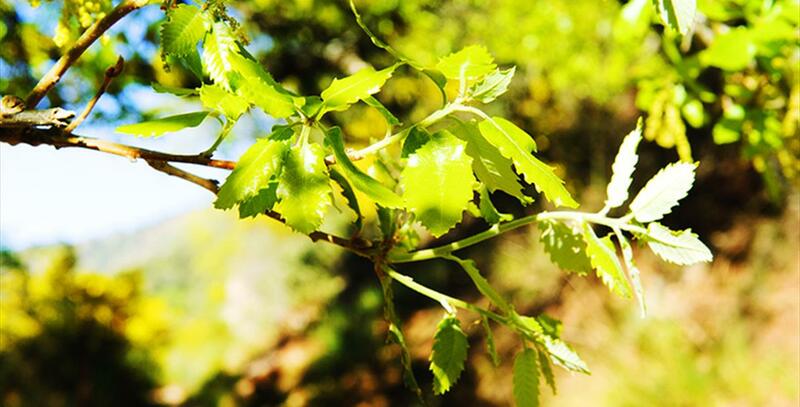 Did you know that the largest cork oak forest in Spain is located on the Costa del Sol? 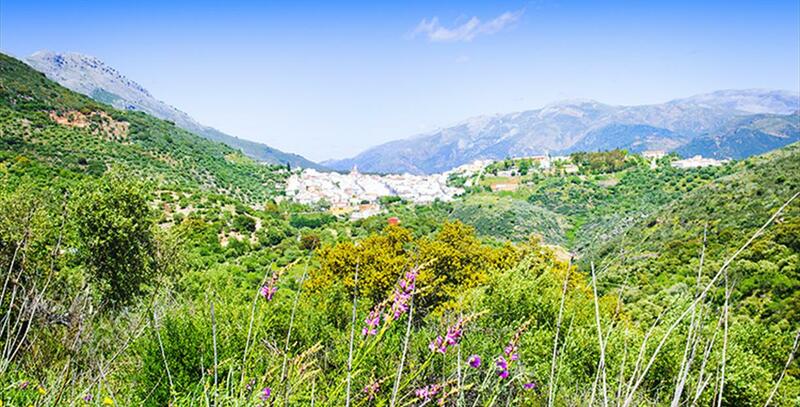 Specifically in Cortes de la Frontera, a municipality in the Serrania de Ronda on the border between the provinces of Malaga and Cadiz and located in the Sierra de Grazalema Natural Park. Of phoenician origin and a still very present Nazrid past, Cortes de la Frontera is the ideal place to mix nature, history and culture. Its numerous footpaths and green landscapes make it an ideal destination for lovers of active and rural tourism. One of the most interesting places in Cortes de la Frontera is the Los Valdenebros Houseand Chapel. Now converted into housing, it is also known as the "house of breasts" because of the shape of the rivets on the gate. This house belonged to a soldier who acquired the title of noble because of his skill with weapons. On the facade, we find the coat of arms and flag. An underground passage connected the house to the church. A few meters from this ""house of breasts"" is the Parish Church of Our Lady of the Rosary, built in the late eighteenth century. Two other famous houses in this town are the Casa de Piedra ("Stone House") and the Town Hall. The Town Hall is a sandstone building, erected in 1784 by order of King Carlos III. It is distinguished by the breadth of its facade, with a total of ten arches. But if we want to get into the Moorish past, visiting Casa de Piedra is a must. This is undoubtedly one of the most unique of Cortes de la Frontera"s monuments, with the most historic value. Also of interest is the Bull Ring, the second largest in the Serranía de Ronda. The area"s livestock farming mean the art of bullfighting is a tradition in town. The arena is 30 meters in diameter and was inaugurated in 1894. Cortes de la Frontera is located on the border of the provinces of Malaga and Cadiz, 159 km from the capital of the Costa del Sol. If you come by car, we suggest taking the A-357. Follow the A-367, passing Ardales. Continue on the MA-555, MA-507, and then the MA-501. Finally take the MA-549, which leads into town. 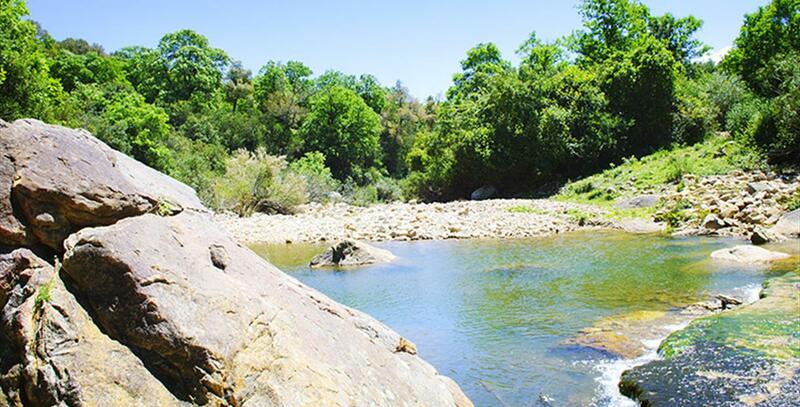 Cortes de la Frontera is located between two natural parks of great ecological value, Sierra de Grazalema Natural Park and the Los Alcornocales Nautural Park. The Sierra Grazalema National Park has over 50,000 hectares and offers unique landscapes, with valleys, canyons and caves. In this area, we will find one of the places of pilgrimage of cavers from all over Spain. 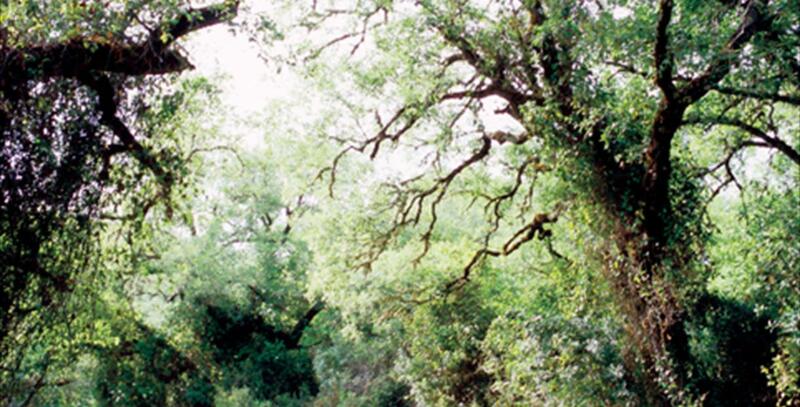 The Los Alcornocales Natural Park is national reference because it is the largest cork oak forest in the country, with an area of 170,025 hectares. If there is a magical place in Cortes de la Frontera, it is La Sauceda. If you want to disconnect from the pace of everyday life and enjoy nature, you cannot miss this remote village, formerly the destination of bandits and outlaws. 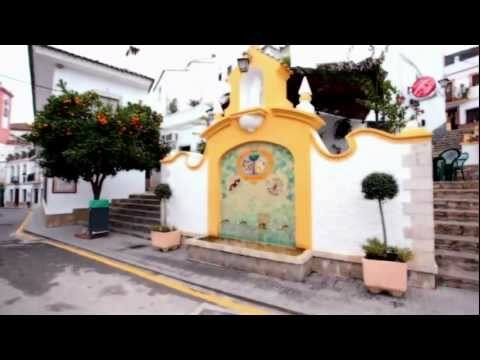 This municipality of Serranía de Ronda is a superb location if you like outdoor sports such as hiking, horseback routes, climbing or canyoning in the Buitreras Canyon. Espeleology in the caves of the Hundidero-Gato complex or orienteering activities are some of the leisure options to be enjoyed around Cortes de la Frontera. Would you like to know what life was like for the people of Al-Andalus? How the canals were built to organize irrigation, how they worked in the forges or even how agriculture was organized? Cortes de la Frontera has a unique space for all audiences to get to know our past in an educational and fun way. With the name of Nasrid Village, this initiative is a living museum that recreates real characters living in the region between the fourteenth and fifteenth centuries. The most important celebration of Cortes de la Frontera takes place in August, in honor of St Roch and St Sebastian, the patron saint of the town. Among the activities offered to visitors every year, you cannot miss the traditional release of young bulls through the streets of the village, which the locals call the "Toro del Aguardiente". Also mid-year, in June, some of the most important pilgrimages of the municipality are celebrated: the pilgrimage of the Virgin of the Rosary and the pilgrimage of the Horse. Carnival and Holy Week are other times when we invite you to visit Cortes de la Frontera and find out how the locals celebrate traditional festivals. The cuisine of Cortes de la Frontera is born of the combination of typical local products such as the meat of game or domestic livestock and seasonal vegetables. When you sit at the dinner table, you will face the challenge of what to try first: a lamb from the hill, a deer in sauce, Guadiaro-style rabbit or migas (pan sauteed with garlic, which in this town is accompanied by fruit, olives and anchovies). To finish with something sweet, we recommend a quince compote. The earliest settlements in Cortes de la Frontera date back to the twelfth century BC. The Tartessians, Phoenicians, Greeks and Romans settled in the area and left evidence behind them, like the hamlet of Saepona or the ruins in Cortes el Viejo. In 711 AD, the Muslims faced the Visigoths in a battle that took place at Cortes de la Frontera. After the death of Al-Mansur, the village belonged to Seville, Granada, Ronda and Algeciras. Ferdinand III the Saint conquered this land in 1248, but it was seized back by the Arabs shortly afterwards. In 1485, it was reconquered for the Catholic Monarchs by the Marquis of Cádiz, Rodrigo Ponce de León. The town we can see today has sat on this location since the seventeenth century, when it began to expand, driven by the production of cork. This characteristic sets Cortes de la Frontera apart from other villages in the sierras with a Moorish heritage. Moreover, it has three distinct population centres: the town itself, El Colmenar and La Cañada del Real Tesoro or Estación de Cortes.